I am a Southern lady, with my milk glass egg tray and my deviled eggs. This recipe is easy, except for peeling the eggs. I HATE peeling eggs. It's a good way to use up the dyed Easter eggs. · Follow my link for boiling eggs. · Sandwich spread is made by Blue Plate. It is used by many Southern ladies in their potato salad or deviled eggs. It is light orangey color and has relish in it. 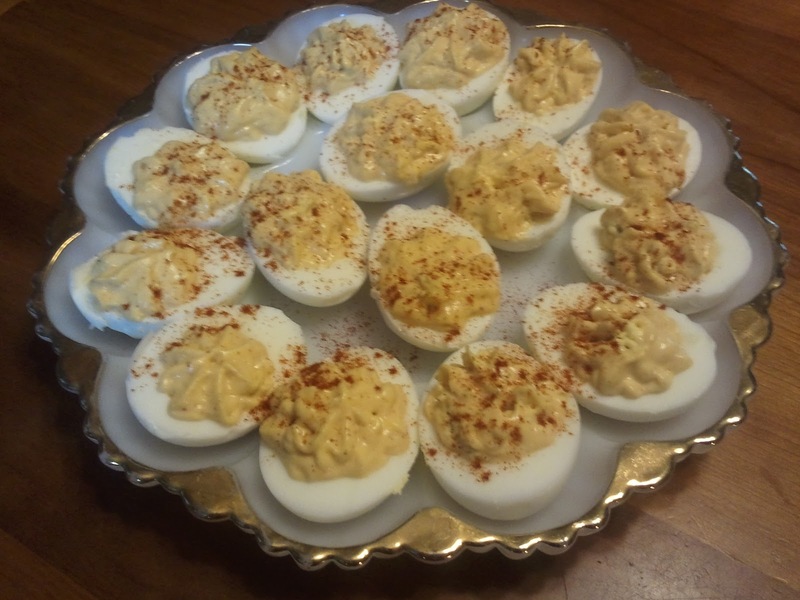 It’s sweet and tangy and gives the deviled eggs the kick they need.